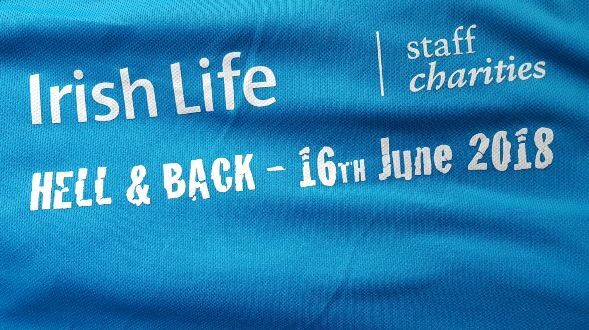 More than 150 employees from across Irish Life and Canada Life braved the Hell & Back course at Kilruddery House on Saturday 16 June for Irish Life Staff Charities. All funds raised for the event will go to our staff charities of the year, the Irish Motor Neuron Disease Association (IMNDA) and Remember Us. Economist Megan Greene talks to Cliff Taylor about market turbulence in Italy sparked by political upheaval. They also look at trade tensions between the US and China. The IMF's urged the Government not to cut taxes in the upcoming budget, to protect against future fiscal shocks. DCU professor of economics Edgar Morgenroth, Cliff Taylor and Eoin Burke-Kennedy discuss why Finance Minister Paschal Donohoe would do well to heed the warning, contained in the fund's latest assessment of State’s economic performance. The timber industry contributes about €2.3 billion to the Irish economy each year and supports 12,000 jobs in rural Ireland. But with some 78 per cent of the output exported overseas, the implications of Brexit are obvious. A row has erupted over a controversial decision by Dun Laoghaire Rathdown county council to place land around Leopardstown racecourse on its Vacant Sites Register. On this week's podcast, Mark Paul talks to Ciarán Hancock about Irish-owned Smyths Toys €79 million European expansion. Irish Life to acquire a strategic shareholding in Invesco Ltd.
Irish Life Group Limited announced that it has reached an agreement to acquire a strategic shareholding in Invesco Limited, Ireland’s largest Irish-owned independent financial consultancy. Mark Paul and Simon Carswell talk to Ciarán Hancock about the latest developments in the INM saga. Also, Eoin Burke-Kennedy has the details of the government’s latest Stability Programme Update. But first, Laura Slattery has a roundup of some of the other stories this week, including the appearance of senior Facebook executive Joel Kaplan at an Oireachtas Committee. In Irish Life we take data privacy and security very seriously. In preparation for GDPR we have finalised our Data Privacy Notice and posted it on our website. We will notify individual members of DC and AVC pension schemes of its availability over the coming months. We want to reassure you that we will be fully compliant with the new legislation. We will continue to process data correctly and responsibly.